Finding the best DUI attorney in Oakland County is as easy as hiring LEWIS & DICKSTEIN P.L.L.C. 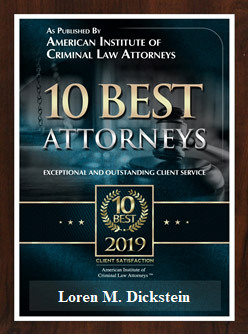 As one of Michigan’s top rated, award winning law firms, you can rest assured that your DUI case is in the hands of qualified, aggressive, and caring attorneys who will stop at nothing to protect your rights, keep you out of jail and, hopefully, help you avoid a conviction. We take a “no shame approach” to each one of our clients facing DUI charges, whether this is your first offense or you face felony DUI charges. We are here to help you, not judge you. What are the consequences for a DUI conviction? A DUI conviction will impact every aspect of your life, which is why it is imperative that you invest in top legal representation. Depending on the nature of your charges and background, you can expect thousands of dollars in fines, extended probation, alcohol and drug testing, a suspended driver’s license, and the possibility of incarceration. A DUI charge can close doors professionally as well. Established in 1998, LEWIS & DICKSTEIN P.L.L.C. has helped thousands of clients facing DUI beat charges all together or settle for a less severe consequence. Many DUI cases are winnable, and your chances of winning are even greater when you enlist the help of one of Michigan’s best law firms. If you are looking for an Oakland County DUI lawyer, look no further. I’m a DUI Repeat Offender – What Lies Ahead of my Future? If you are a repeat offender, we cannot stress enough the importance of hiring highly experienced attorneys with a track-record of winning in court to take your case. A third DUI conviction is considered a felony in the state of Michigan and is punishable by up to 5 years in prison and up to 5 years probation. The stigma of a felony DUI charge will follow you for the rest of your life and it can take years to get your driver’s license reinstated. LEWIS & DICKSTEIN P.L..L.C. will fight tirelessly for the charge to be dropped or reduced, sparing you from serving time in a state prison and maybe allowing you to keep your driving privileges. Year after year, LEWIS & DICKSTEIN P.L.L.C. 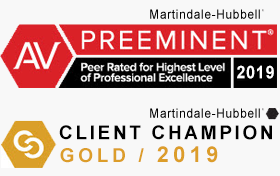 continue to win awards for their superior representation of clients facing a variety of different charges. If you are looking for a DUI attorney, Oakland County is home to one of the very best. DUI cases are entirely winnable in many cases, but it’s up to the client to hire the law firm with an unparalleled track-record for achieving exceptional results.